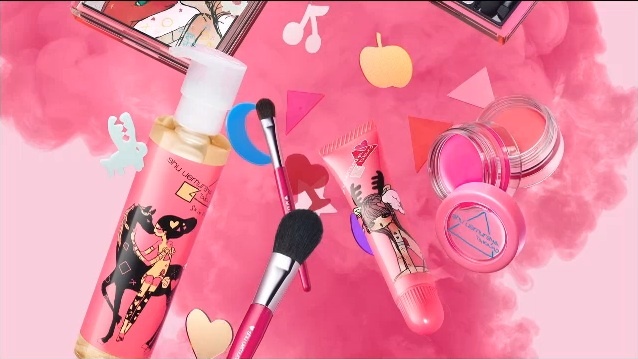 I wasn't too excited about the Shu Uemura Abracadabra Fantasy holiday collection at first but after watching the "making of" video clip on the special website, I've fallen in love with the whimsical illustrations! The collection has a very youthful, fun vibe, as epitomised by the false eyelashes festooned with stars and hearts. There's a different video clip on Youtube. Wonder if the train case will be for sale or if it's only a promotional item for contests like the Tsumori Chisato traincase? Thanks for the post and looking forward in trying this line out. This collection is whimsical and adorable to my liking. It should be available in Singapore sometime in November. I want to buy an eyeshadow palette this Xmas for myself. The Shu Uemura one looks tempting.